CBD Oil Science #Infographic ~ Visualistan '+g+"
Is CBD oil a science backed miracle drug or a new form of snake oil? There is certainly ample anecdotal evidence out there backing its efficacy, and the science surrounding how it works is sound. 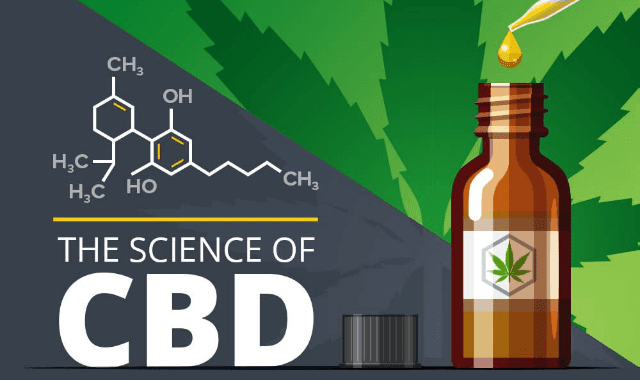 If humans have endocannabinoid systems and CBD oil is chock full of cannabinoids, it certainly stands to reason these things would cause some sort of effect on the human body. With the breadth of anecdotal evidence out there it certainly stands to reason additional scientific research should be done. In the meantime, CBD oil is being marketed to treat a wide variety of ailments. As a consumer, since these claims have not been evaluated by the government, you have to be sure you are dealing with a trustworthy manufacturer. Look for independent laboratory studies, consult your physician, and find an advocacy group. You may find that CBD oil is the magic cure from nature you’ve been waiting for all along.